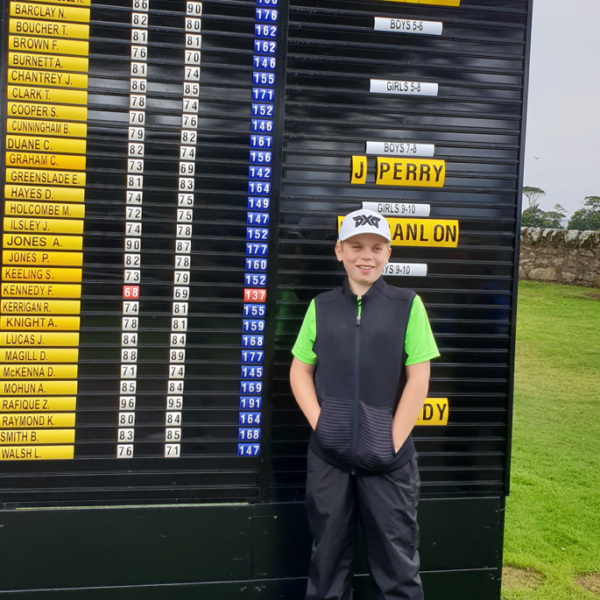 Held on the Strathyrum course at St Andrews, Thierry came 19th in a field of 30 with two rounds of 12 over par over the weekend tournament. The field of 30 competitors had all qualified through regional events and finals. Thierry got to the Grand Final after attending 10 qualifying and 9 regional finals around the UK over the last 14 months. He travelled 8500 miles in that time, never once complaining, with a focus to get to play at St Andrews. As a result of getting through to the Grand Final, Thierry is through to the US Kids European Finals to be held in Scotland in May 2019. Can’t wait for that experience ! Wow, what a day at Leatherhead Golf Club. I scored 4 under my handicap to win the nett prize with a 67 ! 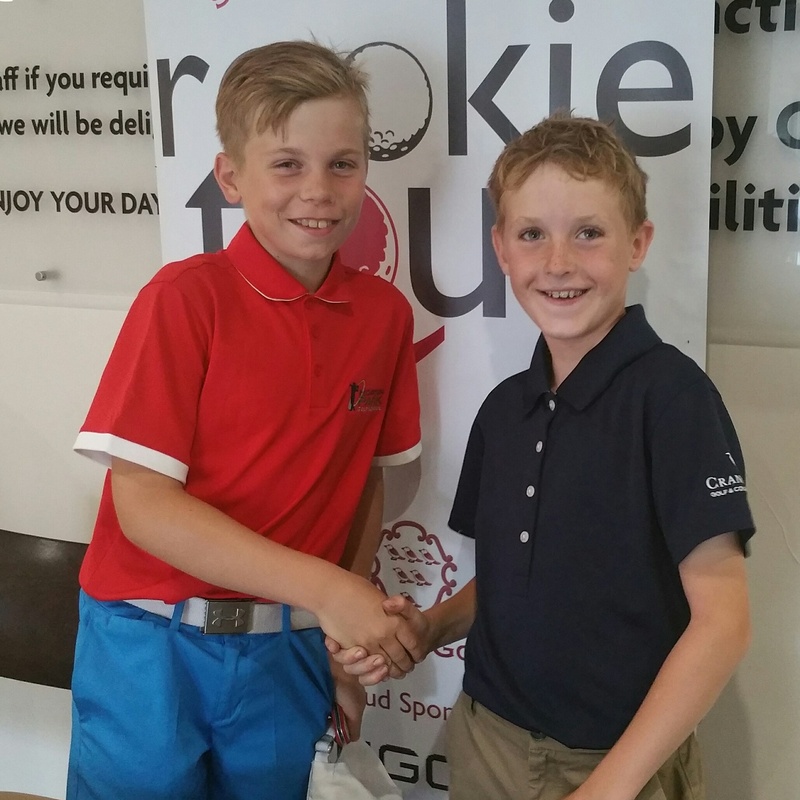 I’m really happen to have won my Club’s Junior Open handicap competition. I scored scoring 6 under my handicap to win the event 13 over par. 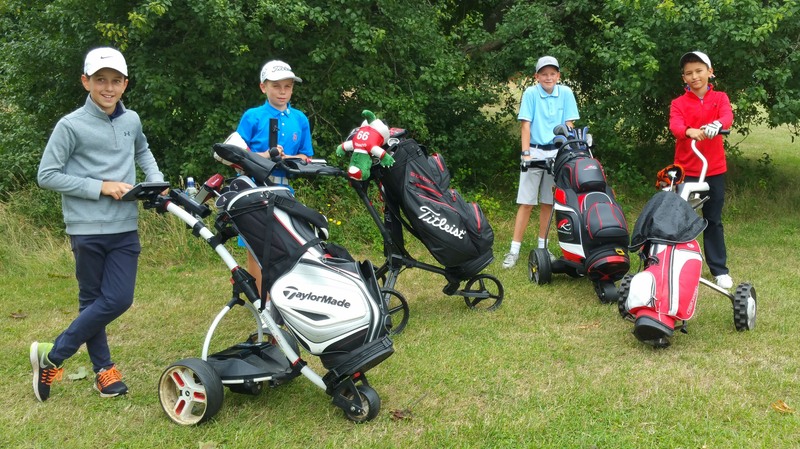 This blog post is a hello to the new friends I made playing at Hoebridge Golf Centre in the Wee Wonders south east England regional final this last weekend. In my group were Oliver Webb from Wiltshire, Joel Tarry from the Isle of Wight, and Can Celikoglu who lives in Turkey. Golf is a great sport for the physical and mental challenges we have to beat. But it’s also great for the way that even in a competitive environment we get to know and make friends with our competitors. I want to say a big congratulations to Joel for hitting a par round of 27. 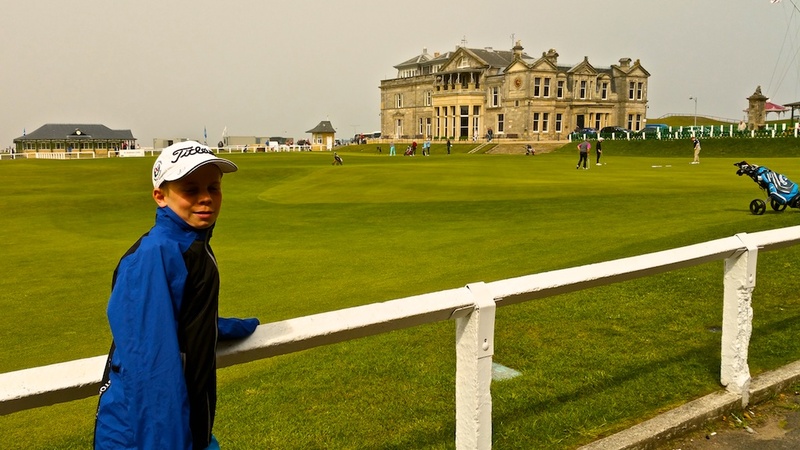 Fingers crossed he gets to qualify for St Andrews. Afterwards we relaxed by playing crazy golf. Hope to see you again Can and Oliver. My playing partner gets a hole in one !! 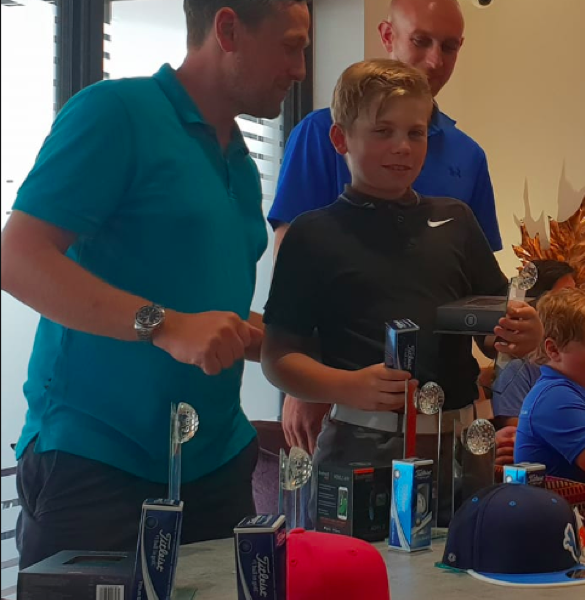 Congratulations to my playing partner Josh Davies who today in the Surrey Rookie Tour event held at Hoebridge Golf Centre hit his first ever hole in one. It happened on the 97 yd 18th hole. It was the first time I have witnessed live a hole in one. 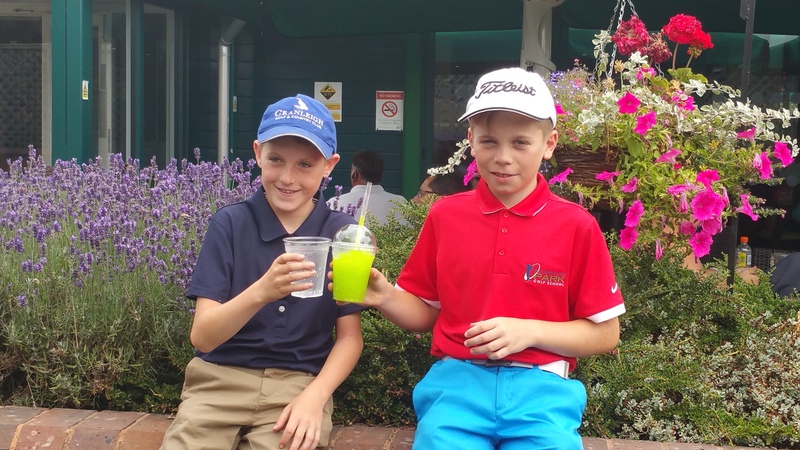 As a celebration he bought me a freezing cold lime green slush puppy ! Today I shot eight over on this 18 hole par 3 course. It’s ok but not a brilliant score. I want to thank Silvermere Golf Store for loaning me a Scotty Cameron putter yesterday evening while my Odyssey two ball is being fixed. 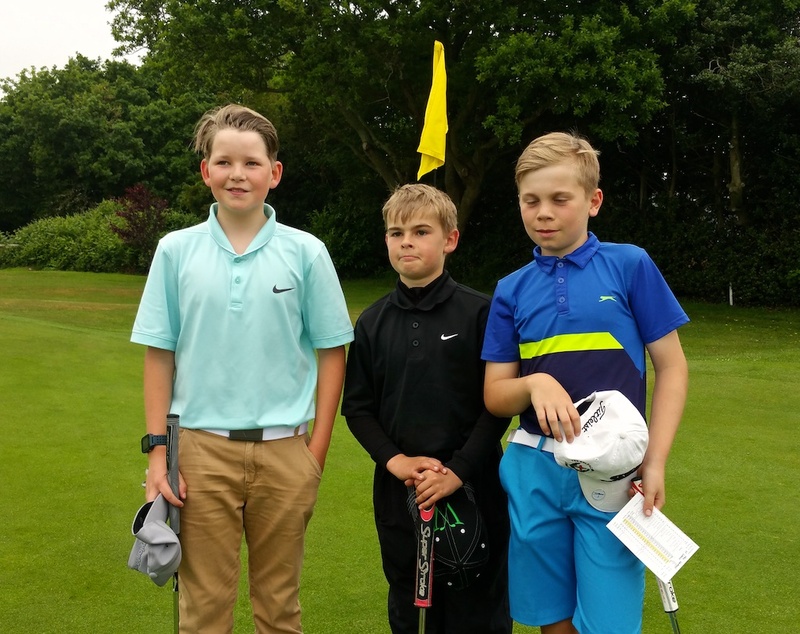 It broke in the middle of my round yesterday at the South and West Wee Wonders regional final held at Farrington Golf Club in Somerset. Author thierryPosted on July 9, 2017 March 7, 2019 Categories CompetitionTags hoebridge, rookietour, silvermereLeave a comment on My playing partner gets a hole in one !! 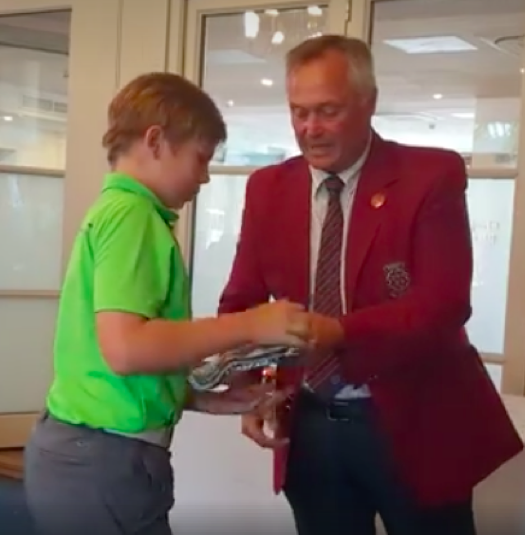 Yesterday was Scotland and today the Isle of Wight as I played my South West England Wee Wonders qualifier at the Shanklin and Sandown Golf Club. 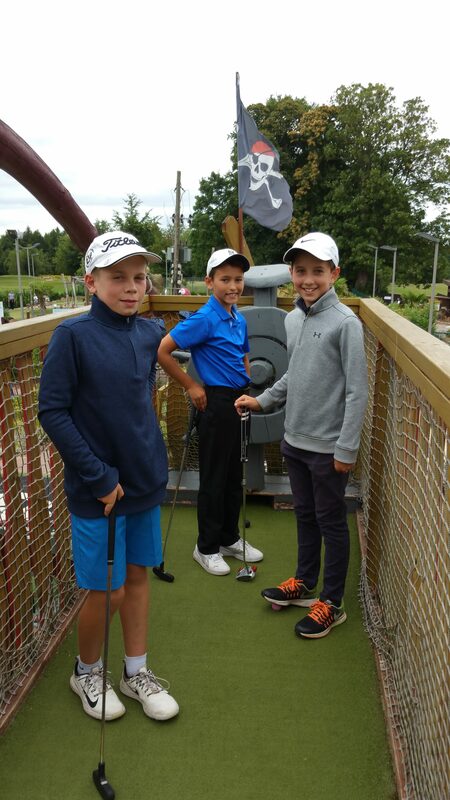 In the picture below with me are my playing partners Joel & William. Thanks to dad for photographing me with my eyes closed ! Firstly I want to say I’m coming back to this course to play it again. I enjoyed it but people told us that the back 9 were even better that the front nine we played. I had a tricky start to the round going 6 over after three holes as you can see from the card below. Then I started to get it together with three birdies over the next four holes finishing with a score of four over. Everyone was really friendly at this club.